A 20%-protein pelleted ration designed to enhance the deer’s natural forage diet. Formulated with patented AntlerMax® Technology. Improves antler size and mass and improves body condition. Optimum reproductive performance and strong healthy fawns. 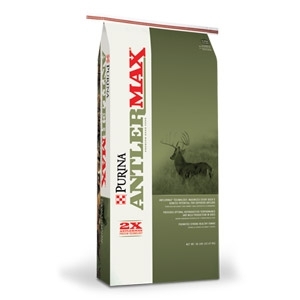 Proprietary AntlerMax® Mineral - optimal antler growth, density and strength. Highly palatable - strong proprietary flavor attracts deer and elk. To be fed free-choice with adequate forage or quality hay. Feed from February through August.